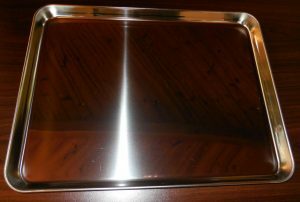 Baking pan stainless steel is great for baking such vegan recipes as cookies, oven cakes (no-fry pancakes), and anything else your heart desires. 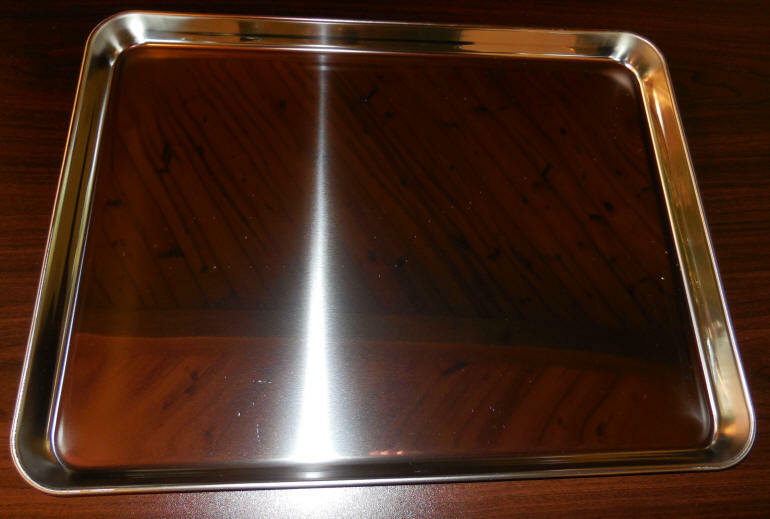 This polished stainless steel baking pan measures 12 inches by 16 inches and is essentially non-stick. The little bit of sticking we get from baking in the oven is easily removed with a little warm water and a light rubbing with a dish rag. We purchased this baking pan online for $15.00 delivered to our home.